This past Wednesday at the Cathedral, as I had finished the early bible study I lead and Flo Ray was preparing for the late morning bible study she leads, I asked Flo if she had any nuggets of wisdom to share about the Prodigal Son. Flo chuckled and acknowledged that it is difficult to find a fresh word on a story so commonly known and often told. Indeed, Flo is correct. There is perhaps no other of Jesus’ stories that so deeply pervades our consciousness. Consider a small sampling of the films over the years that draw inspiration from, if not direct correlation to, the Prodigal Son: Cat on a Hot Tin Roof, Legends of the Fall, The Notebook, even The Lion King. What more can be said? 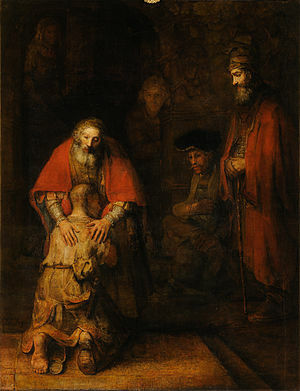 The parable is customarily titled the “Parable of the Prodigal Son,” but as several biblical scholars have pointed out, it would be more accurately titled the “Parable of Two Sons.” The story itself does not privilege the character of one son over the other; it is as much about the elder son as it is the younger. Here is a fresh way we might approach this ancient story: Tim Keller argues that the two sons in Jesus parable represent extreme examples of the two basic ways people seek happiness and fulfillment in life, both then and now: the way of self-discovery and the way of moral conformity. [i] Each of these paths can be life-giving to be sure, and yet in the parable, we see that each path also has its dark side. The younger son follows the path of self-discovery, chafing against the lifestyle of his father, his family, perhaps his culture. He wants to pursue his own identity, his own sense of self, his own self-actualization. He breaks free and leaves, and though the results in his case are extreme, some lesser variant of him is not uncommon to us. In our own day, the wing-spreading and experimentation that at first feel like freedom can ultimately become just a different kind of captivity. At the end of the road of self-discovery, we can end up, like the younger son, alienated from what we’d known and loved and dependent upon things (sometimes controlled substances) and people that are not good for us. The elder son follows the path of moral conformity. He seeks happiness and fulfillment by putting a premium on carrying out life’s duties (even the smallest and most incidental), upholding astronomically high standards, and—though he may not be conscious of it—insisting that others maintain his standards as well. It is a form of control that he desires, of himself, his world, and, he hopes, his father. As a result, the elder son becomes, as we can do, frustrated and angry when the world around refuses to conform. Like the elder son, we can become resentful when the world fails to commend or reward us appropriately for our rectitude in playing by the rules. In extreme cases, that resentment can lead one to find a secret release valve of non-conformist behavior, which if it comes to light may be potentially more destructive than the younger son’s wide-open rebellion. It is clear, from the beginning to the end of this parable, that the father loves his sons, and his love is true. Why is it that they seek their fulfillment apart from him, either by rebellion or control? What is it about his love that from which they seek a barrier? When I was a child, Boo granted me sophistication of understanding that I did not deserve. When I was a teenager, for my safety she broached uncomfortable subjects with me that no grandmother would enjoy discussing with her pubescent, hormonal grandson. When I was in college she wrote me letters in pencil, offering deeply wise counsel and guidance. Boo, wearing the green shirt, teaching me some important lesson. Whenever I describe Boo, I fear that the description comes across as syrupy and Pollyanna-ish. Boo was neither of those things. Boo was also not naïve. She knew full well who I was, and how I could and did fail, and wherein I needed to drop to my knees and ask for God’s forgiveness. And yet, she also looked upon me with her eyes of love and saw the “me” God’s goodness intended. She believed I could, with God’s grace, be that person, and she saw me as if I already was. That is the way God gazes upon us, and it is not an easy thing to be seen in that way. Sometimes one wants to rebel against that vision, to test whether in can be clouded and the love behind it proven untrue. Other times one wants to control that kind of love, to manipulate it in order to be master of one’s own life. Sometimes that love is simply too much; knowing ourselves as we do, we cannot fathom that we are so loved, and therefore we cannot bear it. My grandmother Boo loved me completely. She saw me through eyes of grace, and somehow because she could see me as God hoped I would be, I wanted—and I still want seventeen years after her death—to be the person of her vision. Her love for me was prodigal, which means, after all, extravagant. And even now when I recklessly stray, it is Boo’s love—which is, in truth, God’s love—that brings me to myself like the Prodigal Son and orients me toward home. Boo’s love, which I am forever grateful to have encountered, is but a flicker compared to that shadowless light of love God has for us. It requires vulnerability to be gazed upon with that kind of love. It requires giving up the option of running away. It requires relinquishing control. It requires a willingness to see ourselves as we are and exhale, knowing that we are loved even so, and then wanting to be the people of God’s greater vision. And when we allow that gaze to wash over us, and we accept that love, the possibility of becoming the people of God’s greater vision becomes real. God’s love is prior to repentance, prior to doing any duty. It is a love that has its eye always oriented toward the path looking for the younger son, that longingly expects our return and is ever-ready to embrace us. It is the love that says, as to the elder son, “You are always with me, and all that I have is yours,” without condition, without exception, and without earning. God’s love, it turns out, is the most prodigal of all. [i] Keller, Timothy. The Prodigal God, 29. [ii] Berry, Wendell. A World Lost, 104. Have you ever gone to bed with a sense of foreboding, where some threat seemed just outside your peripheral vision, or with an apprehension that some crucial detail had slipped your mind? Have you ever slept fitfully, with fevered dreams that sought to dredge something from your subconscious into your conscious mind, and sat bolt upright in bed, wild-eyed and sweating, with no understanding why? Have you ever moved through your morning routine, ominously certain that things were askew but equally unsure how they might be, oblivious about what to do? Sit with these questions for a moment or two. Live with them and see if your heart doesn’t pump a little faster, if the hair on the back of your neck doesn’t stand on end. If you are at all like me, this phenomenon is not unheard of in your life. It also give us immediate insight, across eons of time and a world of space, into the experience we read today of Abraham. Midway through our first lesson today, we read, “As the sun was going down, a deep sleep fell upon Abram, and a deep and terrifying darkness descended upon him.” Abraham tosses and turns. Something isn’t quite right, but he can’t figure out what’s wrong. And from the mists of prehistory to today, we have seen the results of Genesis 15. That tiny sliver of land in the Near East has been a crucible of tension, violence, and religious self-righteousness that sometimes simmers and other times boils over. Beginning in the generations after the Exodus and continuing into the twenty-first century, the promise of God has led inexorably to the serial subjugation, oppression, and death of God’s children. Such was surely the case in Jesus’ own day, when, as we read in the Gospel today, Jesus laments over Jerusalem’s chronic and repeated failure to heed justice and the prophets of God. Hebrews to Canaanites, Philistines to Hebrews, Muslims to Jews, Christians to Muslims, Jews to Palestinians…the thousands-year cycle is, so far, endless. Recognizing this reality is not dependent upon one’s political leaning. The fact is so stark, brazen, and sharp-edged that it refuses to be smoothed or enfolded into gentler interpretation: The Holy Land is too often unholy. And the tap root of that fact is God’s promise to Abraham: “To your descendants, I give this land.” The implication being, and to no other. Jews, Christians, and Muslims, all believing themselves to be Abraham’s rightful and righteous descendants, take God’s promise as their own, and the results are often horrendous. And yet, that night eons ago when God’s covenant was sealed, in the very intermission of that world-changing liturgy, “a deep sleep fell upon Abram, and a deep and terrifying darkness descended upon him.” Abraham knows but cannot articulate, I believe, that he’s misunderstanding something, that he’s getting it wrong. In the cradle of God’s promise, Abraham cannot rest. What should be a dream of hope and joy is, instead a nightmare. Some crucial detail has slipped Abraham’s mind, some essential component that defines the whole. He does not remember it, and history happens as we know it. Abraham’s nightmare finds its way from dreams to reality. Abraham and all those countless generations of descendants even to our own day remember the that of God’s promise, but we fail to remember the why of God’s promise. The blessing is not a thing to be held and possessed like a fetish. The blessing is a calling, a responsibility, to be the conduit of God’s blessing to others—all others—in God’s world. The blessing is the sacred duty of Abraham and all those who claim him to be agents of grace. This is what Abraham forgets, or perhaps never fully hears in the first place. And God’s dream becomes a nightmare, with the blessing understood as a thing to set apart and above, rather than to share. We are in Lent, that time of year when we remind ourselves of our blessings by setting some of the lesser and more trivial ones aside, giving up chocolate, wine or some such. But Lent better serves as the concentrated time to ask: To whom am I a blessing? Whose lives do I actively seek to bless? Not just my partner, spouse, children. Rather, for whom is the world more nightmare than dream, and how can I be a blessing to that person? That question is the tail of the comet. It illuminates the entire promise of God. If we will ask and answer it with our whole hearts and our whole lives, we will become, indeed, the people of God’s covenant. By being a blessing, we will become truly blessed. And finally, God’s hope for the world begun in Abraham and assured in Jesus Christ will be a dream come true, from Jerusalem to Houston. May it be so. **I first preached this Ash Wednesday reflection at St. John’s Episcopal Church, Roanoke, Virginia, in 2008. The mournful voice of Emmy Lou Harris keens these words in her song, “The Pearl.” The CD on which it is found collects dust on my shelf. 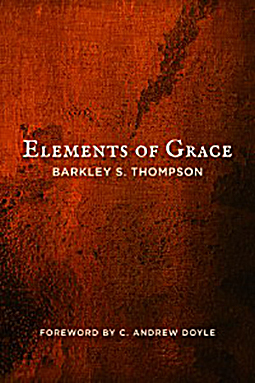 I’d not listened to it in years, but Emmy Lou’s words sprung up in my mind effortlessly the first time that I, dressed for the burial office in the glorious white vestments of Resurrection, was handed a heavy, solid and nondescript black box carrying the ashes of one I had known and to whom I had ministered. I had to transfer those ashes to a container that would fit our columbarium, and when I looked at my fingers, I realized I had ash on my hands. Cremation is not pristine and sterile. It, like life, is messy. The ash left my hands smudged, and the contrast between the glitter of my vestments and the stark reality of the ashes dredged up Emmy Lou Harris’ words: The dragons fly relentlessly, and in the end they leave but ashes. I tossed a handful of Pammy’s [ashes] into the water way out past the Golden Gate Bridge during the day, with her husband and family…. I was able to see…the deeply contradictory nature of ashes—that they are both so heavy and so light. They’re impossible to let go of entirely. They stick to things, to your fingers, your sweater. I licked my friend’s ashes off my hand, to taste them, to taste her, to taste what was left after all that was clean and alive had been consumed, burned away. They tasted metallic, and they blew every which way. We tried to strew them off the side of the boat romantically, with seals barking from the rocks on shore, under a true-blue sky, but they would not cooperate. [Ashes] rarely will. It’s frustrating if you are hoping to have a happy ending, or at least a little closure, a movie moment when you toss them into the air and they flutter and disperse. They don’t. They cling, they haunt. They get in your hair, in your eyes, in your clothes. On our worst days, maybe. And yet, even then we must realize that there are those who will hold our ashes in their hands and toss us into the wind when we are gone. And depending upon the way we have marked the years, those ashes will either sting their eyes with pain or impress themselves upon our loved ones’ hands with substance and grit, hearkening back to lives lived with forbearance, compassion, and grace. Ponder this Lent which kind of remembrance you will leave. Dwell upon how your ashes will cling to those who remain when you are gone. But that is the last “allelujah” we will hear for a while, because first there is Lent. First we must reflect upon the character of the ashes we will leave. For we are dust, and to dust we shall return. Lamott, Anne. Traveling Mercies: Some Thoughts on Faith, 94-95. In Exodus today, Moses comes down Mount Sinai, where he has been in the immediate presence of God, and Moses enters into the midst of the people of Israel. But the Moses who comes down the mountain is not the same Moses who ascended. Being in God’s presence has changed him. Now, Exodus tells us, “the skin of Moses’ face was shining, and the people were afraid to come near him.” The Hebrew word for “shine” used here is not used elsewhere in scripture, and it seems to mean that something like a ray of light or an aura emitted from Moses. Biblical scholar Walter Brueggemann points out the peculiarity of this passage. [ii] Whereas the chapters just before and after it focus on God revealing Godself through words and commandments, in this passage God’s disclosure is different. While today’s passage mentions in passing that, upon reaching the foot of Mount Sinai Moses shares God’s law with the people, its overriding emphasis is that God conveys Godself simply through God’s palpable, teeming presence. On the mountain Moses has, Brueggemann says, “entered deeply into God’s own life.” Moses has been immersed in God—he has been enveloped by God’s beauty, and wonder, and grace—and once that has happened, Moses cannot help but bear the presence of God in himself and through himself. Moses is changed in a way that all can see—he emits that aura of light—and through that change, before and beyond any words that are spoken, the presence of God is communicated to those Moses meets. That fascinates and tantalizes me. As many know, I am a student of the ancient Celtic Christian tradition. The Celts believed that heaven and earth are only three feet part, and that there are some geographic places on this earth where even that distance collapses. [iii] The Celts called these thin places. As I often say, a thin place is where the veil between the spiritual and material realms is stretched so thin as to become porous. Spiritual reality flows into the material world, sometimes as a trickle and other times as a torrent. In such places, the presence of God is often palpable. As Walter Brueggemann says of Moses on Mount Sinai, in thin places people sometimes realize to their surprise that they enter deeply into God’s own life, or, better yet, God enters deeply into theirs. And often, at that point, there is a transference. The encounter strips away from the person all those layers of defense that we accrue over time to prevent God or other people from entering into the deepest recesses of our lives. Where we were thick, so to speak, we are laid bare before God’s presence, and the thin place of geography becomes a thin place of personhood. This is what happens to Moses in Exodus today. He encounters God in the thin place of Mount Sinai and is himself rendered a thin place. And when he descends to the people, we read that they are afraid to approach him. Why might that be? Walter Brueggemann says that Moses “goes deeply into the mystery of God with all its danger and receives guidance for the ways in which presence can be mediated and made available.” What is the danger? They danger is that the encounter with God will change us. It has changed Moses, clearly, and any who then commune with him run the risk of being stripped thin themselves, of having God come to reside in them and through them. Becoming something different than we are, even if we don’t particularly like who we are, even if our present reality is despondent and near despair, is a frightening prospect. Michael Gerson knows this personally. He knows the despair; he knows the fear; and he knows that the encounter with God is salvation. Gerson says, “The answer to the temptation of nihilism is not an argument, [not words]…It is the experience of transcendence we cannot explain, or explain away. It is the fragments of love and meaning that arrive out of the blue…[the] experience of pulling back the curtain of materiality, and briefly seeing the landscape of a broader world…There was Paul’s blinding light on the road to Damascus. 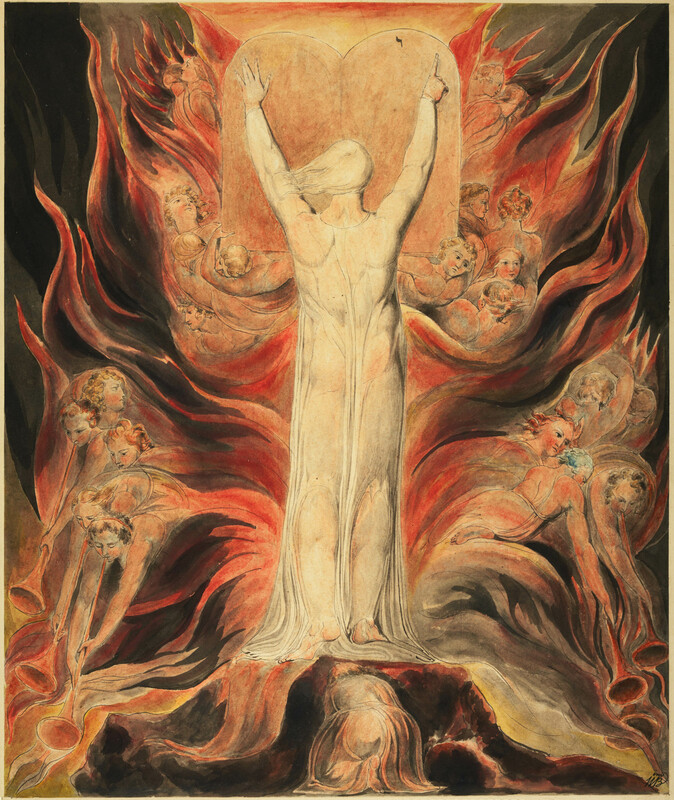 There was Augustine, instructed by the voice of a child to ‘take up and read.” There was Teresa of Avila encountering the suffering of Christ with an ‘outpouring of tears.’ There was John Wesley’s heart becoming ‘strangely warmed.’” Today we can add, there was Moses coming down the mountain, his face shining with the presence of God. But we can also add the innumerable anonymous instances in which we have encountered thin places of both geography and personhood. We, too, have encountered in places and in people transcendence that we cannot explain, or explain away, where the veil is so thin as to be porous, where the curtain is pulled back and we briefly see the landscape of the broader world. Those encounters push through the despondent surface of the world. Those encounters are the really real. They can be fearful, and we can run from them and back into the material world of our familiarity. Or, we can recognize that such encounters are the first moment of freedom and hope, when we begin to see hints and glimmers of a larger world, some shred of beauty or love. This is the last Sunday of Epiphany. On Wednesday of this week, we liturgically leave behind the season where we are attuned to epiphanies of God’s presence and enter into the introspection of Lent. But epiphanies do not cease with a turn of the liturgical calendar, and revelations of God are especially gifts in Lent. We may be, like Moses, the one who encounters God on the mountain, or we may be, like the Israelites, the ones who meet that person as he descends. Either way, God communicates Godself through God’s presence even before words. Through thin places God seeks to render us thin places, and if we will respond we may find that from us shine forth rays of light. [ii] Brueggemann, Walter. “Exodus,” The New Interpreter’s Bible, vol. 1, 953-954. [iii] Weiner, Eric, “Where Heaven and Earth Come Closer,” The New York Times, March 9, 2012.